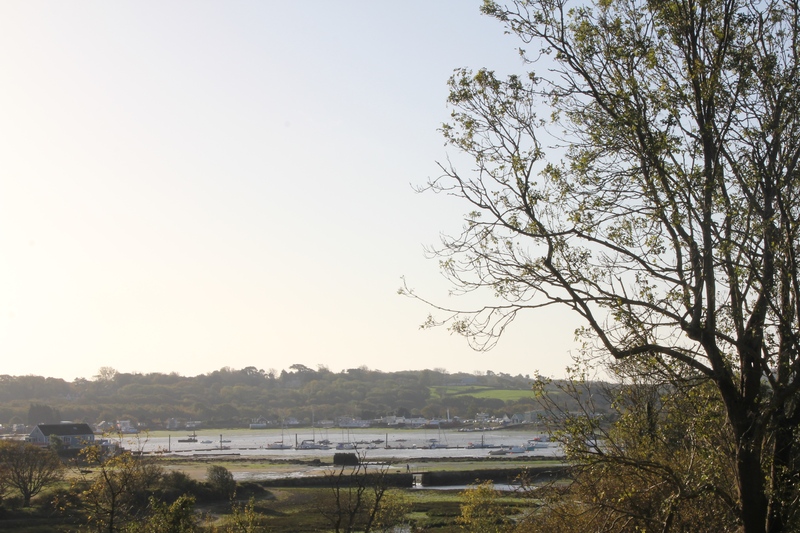 As some of you know, St Helens Duver is owned by the National Trust, and they have recently completed a brush/undergrowth clearing exercise, opening up some lovely new views from the path that descends to the Duver. 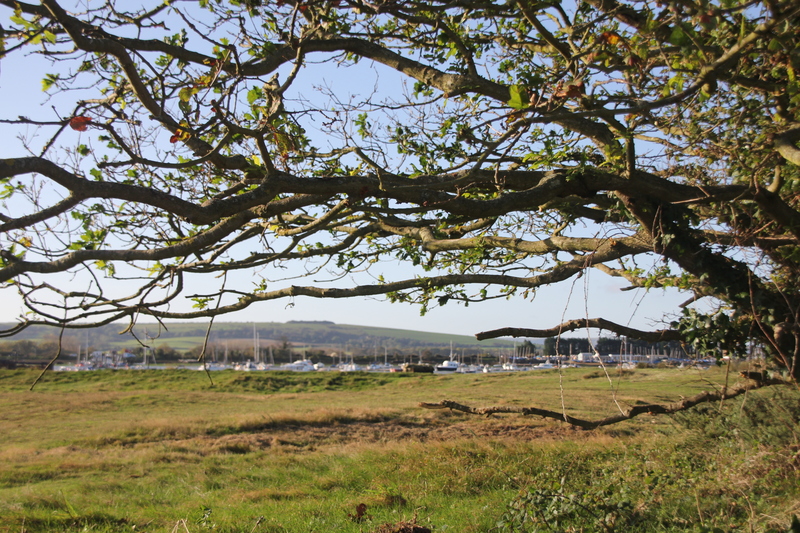 Shame that at the same time they haven’t chopped down the trees threatening to obscure our view! I took these photos during Monday’s beautiful morning as I knew today it would be grim, and sure enough, there are stair rods coming down as I type. 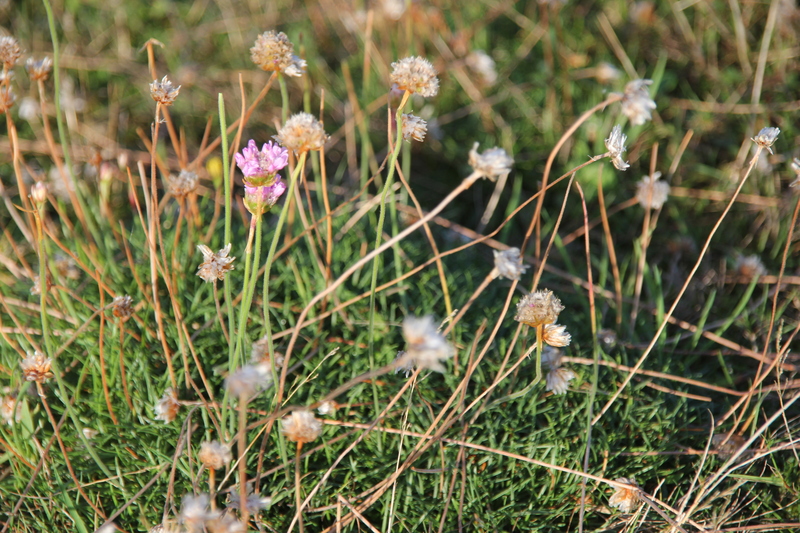 On the Duver there is still an occasional new thrift flower to admire, but the majority have turned to a sea of papery heads. 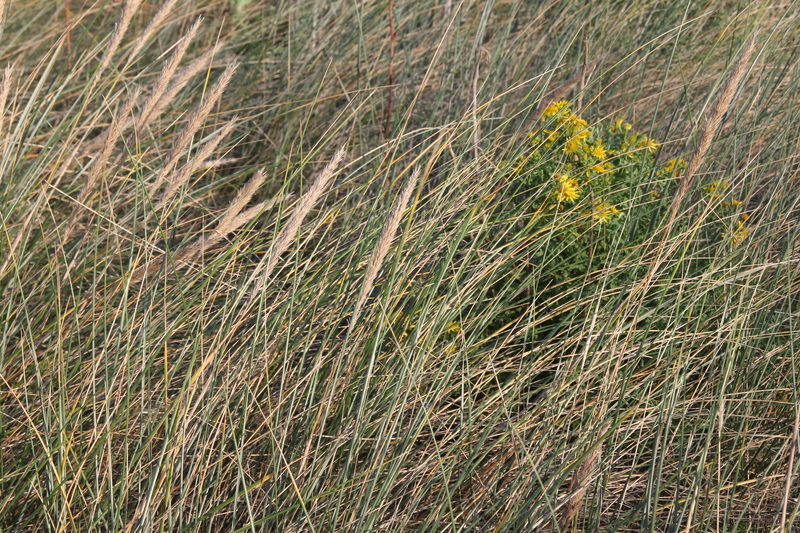 Marram grass (Amophila), here together with the Common Ragwort (Senecio jacobaena). 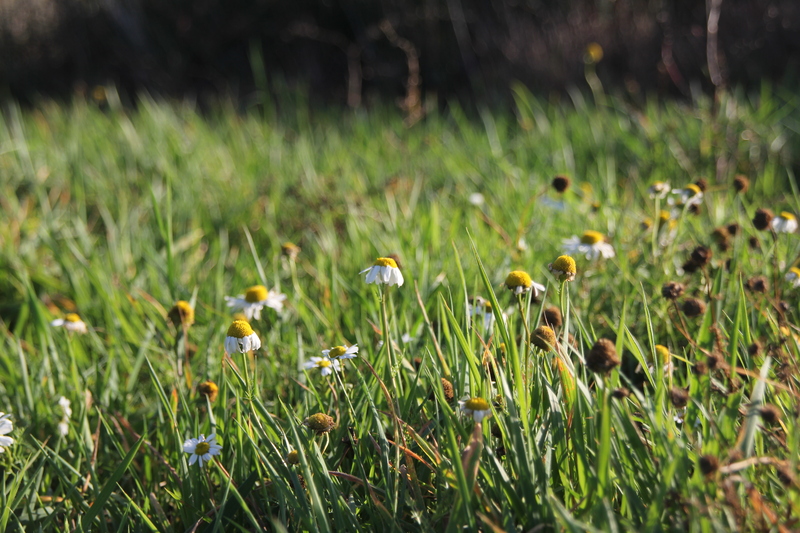 There are still plenty of new chamomile flowers coming to replace the those already faded. 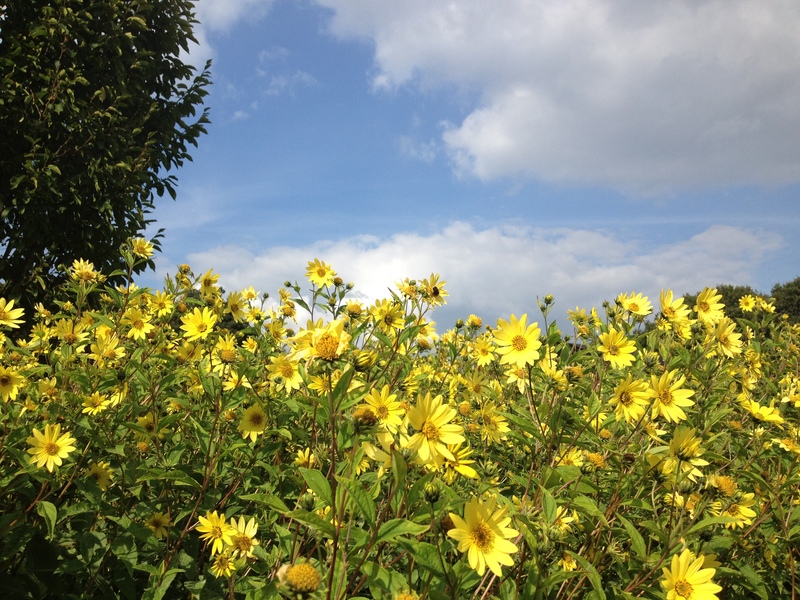 This entry was posted in Duver, Wildflower Wednesday and tagged Amophila, Common Ragwort, Evening Primrose, Marram grass, National Trust, oenothera biennis, Restio, Senecio jacobaena, Thrift on October 29, 2014 by jenhumm116. 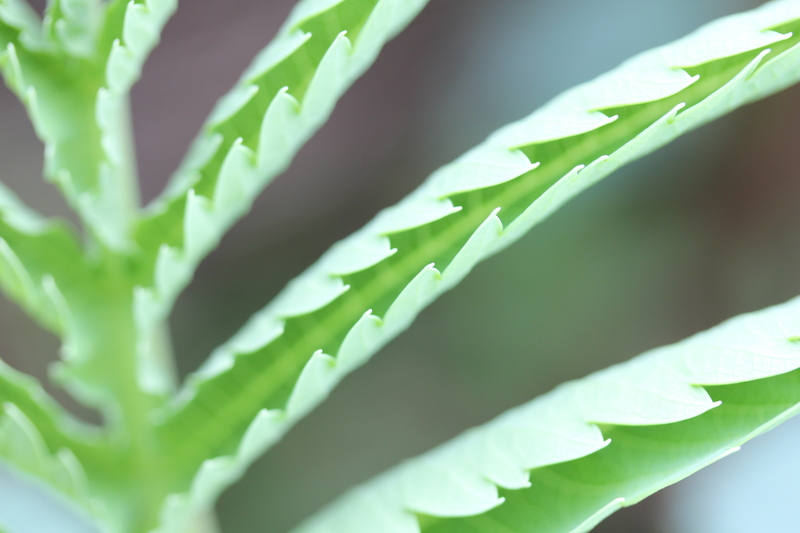 New leaves on Melianthus major. 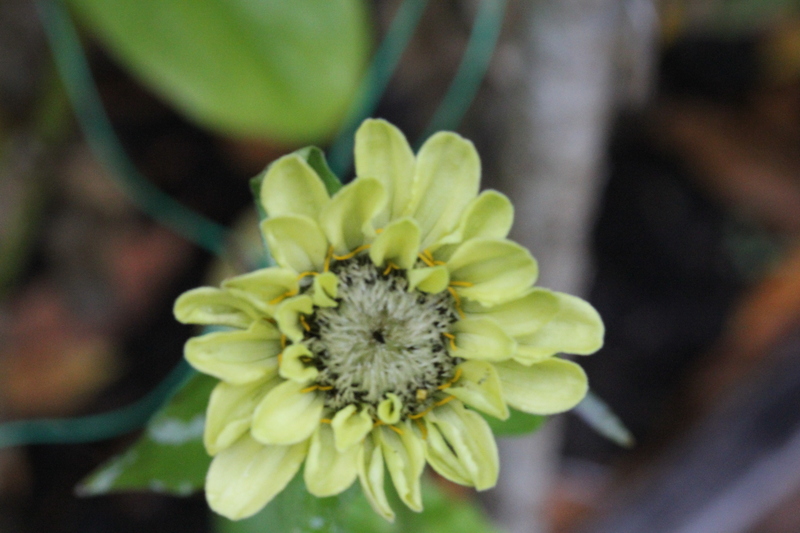 Today I’m also linking up with Christina at My Hesperides Garden, who hosts the Garden Bloggers’ Foliage Day meme – and has just celebrated her 500th post! 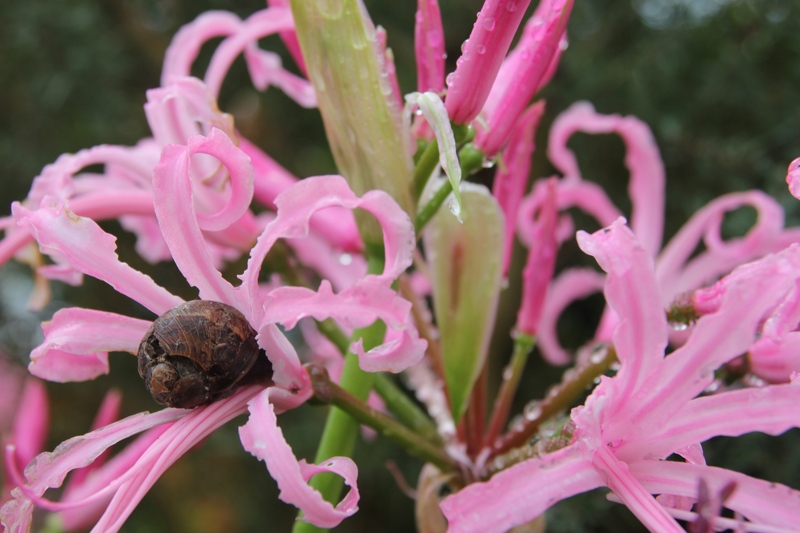 This entry was posted in Garden Bloggers' Foliage Day, Wordless Wednesday and tagged melianthus major on October 22, 2014 by jenhumm116. 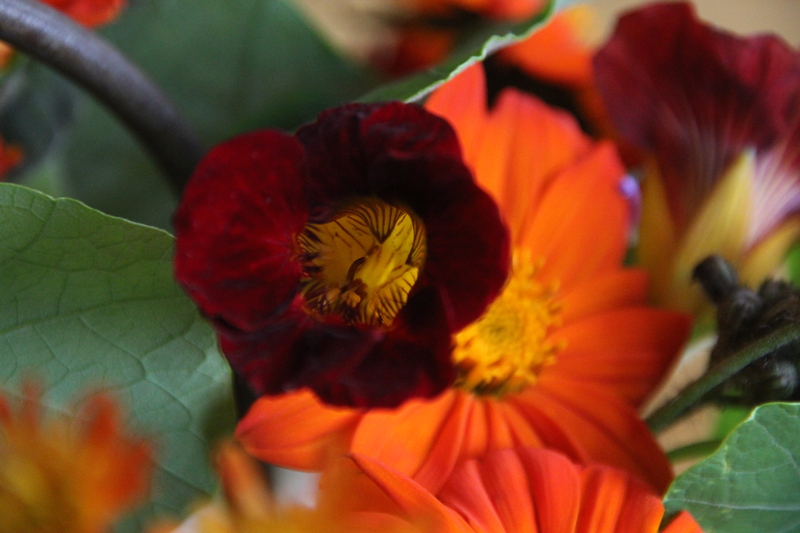 Whilst one of the reasons I grow nasturtiums is to add a peppery twist to a salad, what I didn’t know until today was that, according to the National Gardening Association website, the name literally means ‘Nose twist’. 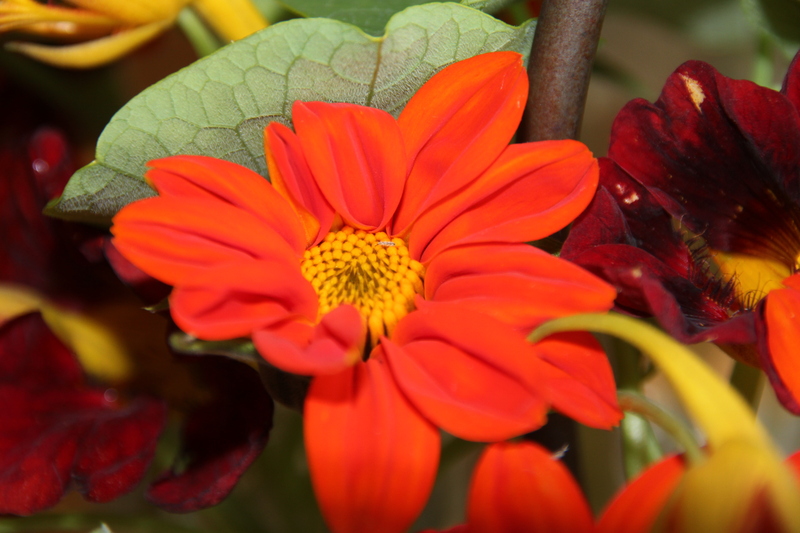 Any of you who have eaten one of these flowers will immediately recognise the sensation! 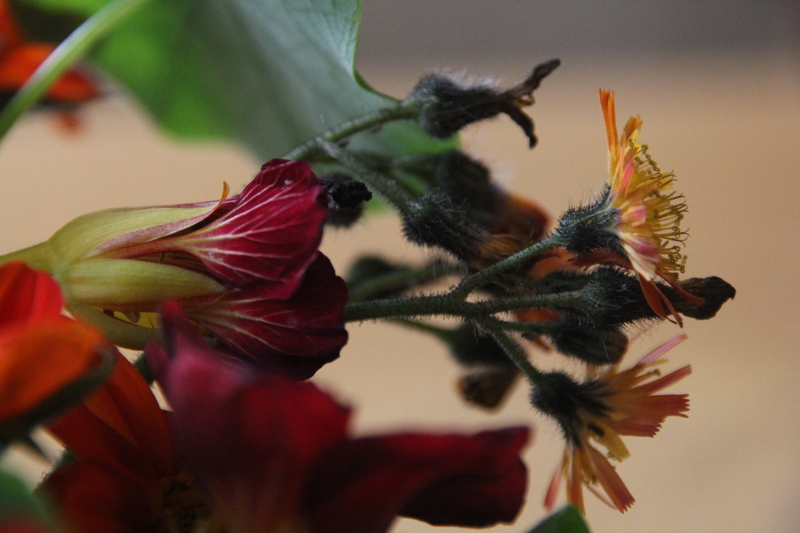 Today’s vase is I think the first time this year I’ve picked Nasturtium (N. Black Velvet) for a vase. Bizarrely I think my plants are looking healthier than at any previous time this year, so all of a sudden there are ample blooms to pick. What is not ample, however, is their stem length, so I’ve resorted to my ‘vase of many bottles’ which I use very often for shorter blooms and used before for my ‘Purple Circle’ post. and a few of my Fox and Cubs (Pilosella aurantiaca) which are continuing to threaten to take over the garden. Not exactly refined, but very jolly on the kitchen table. Please go to Rambling in the Garden to see what Cathy and others have in their vases this Monday. 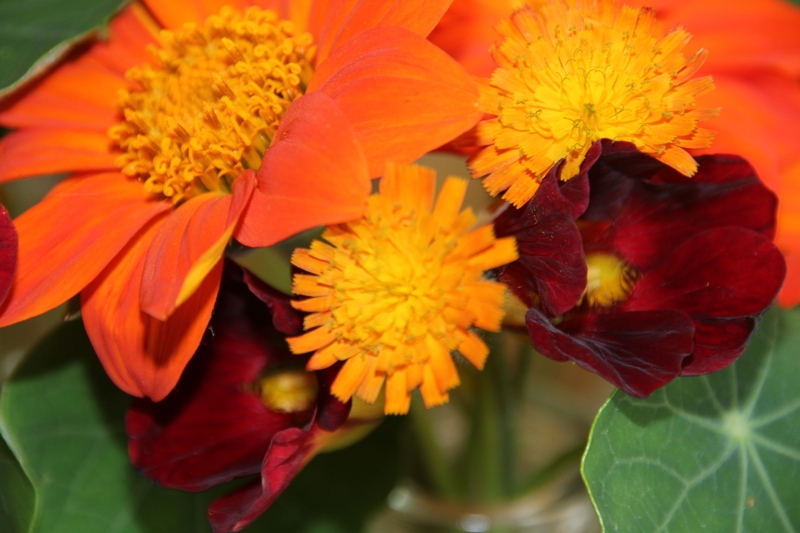 This entry was posted in In a vase on Monday and tagged Fox and cubs, Nasturtium Black Velvet, Pilosella aurantiaca, Tithonia rotundiflora 'Torch' on October 20, 2014 by jenhumm116. So many of the plants flowering now have already been featured in previous GBBD, so I thought I’d start with one that hasn’t. 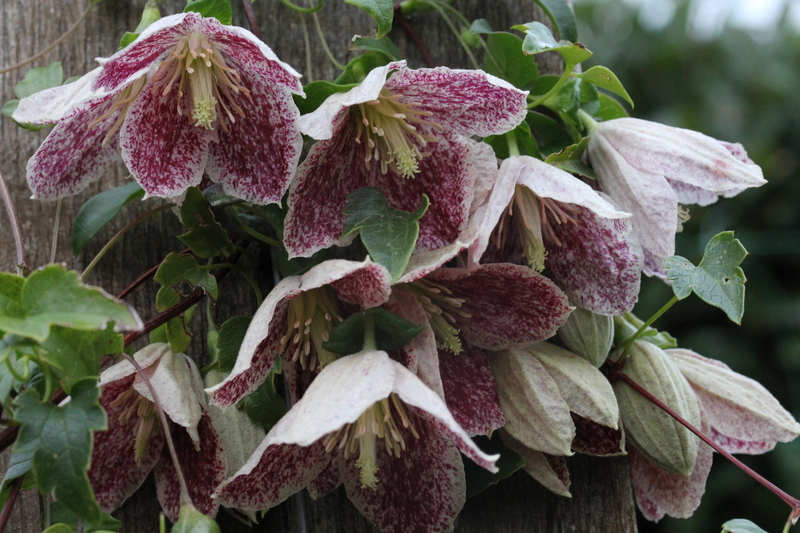 This is Clematis ‘Freckles’, flowering on the pergola together with Rosa St Swithun. 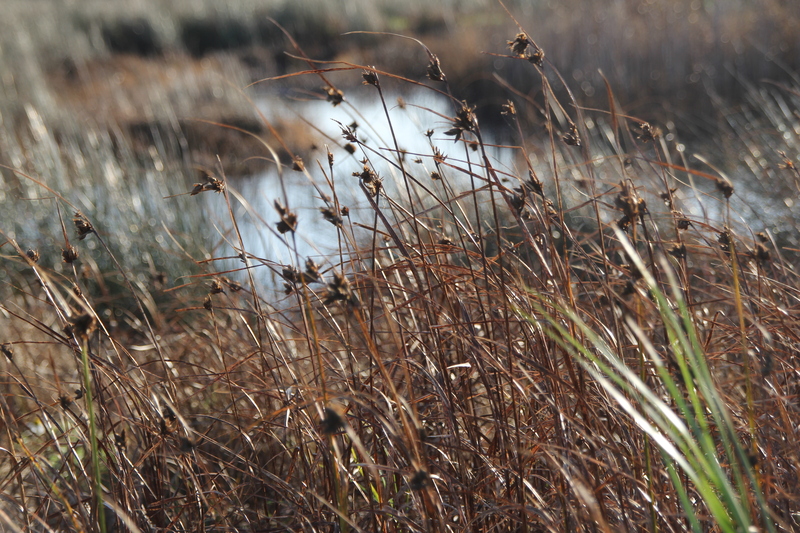 According to Crocus.co.uk it is ‘often out by Christmas and sometimes by November’. Clearly mine doesn’t have a calendar to hand. 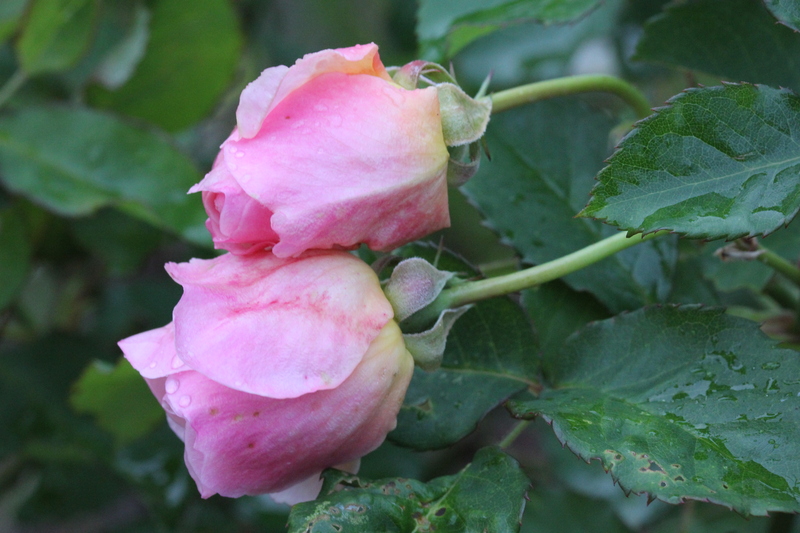 I’ve still got plenty of roses flowering, although many have been battered by the recent weather. 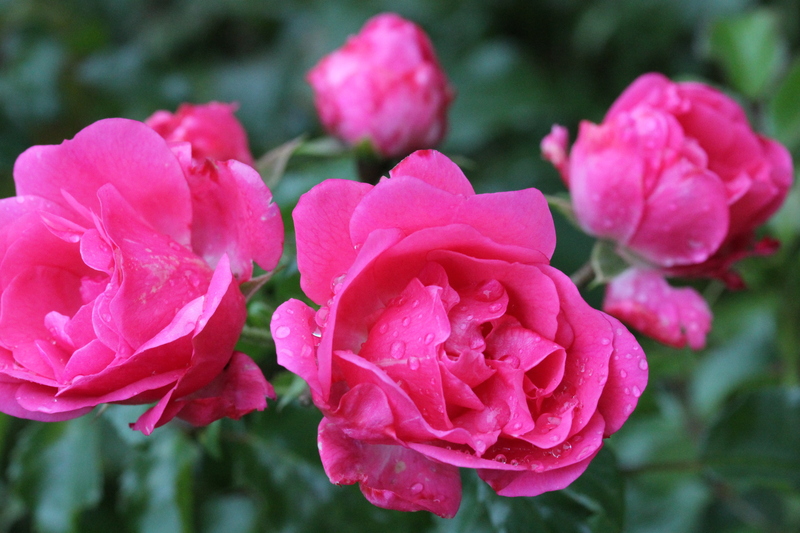 This one was inherited and is, I think, Rosa Flower Carpet Pink. These next three were also inherited, so I’m not sure of their names. 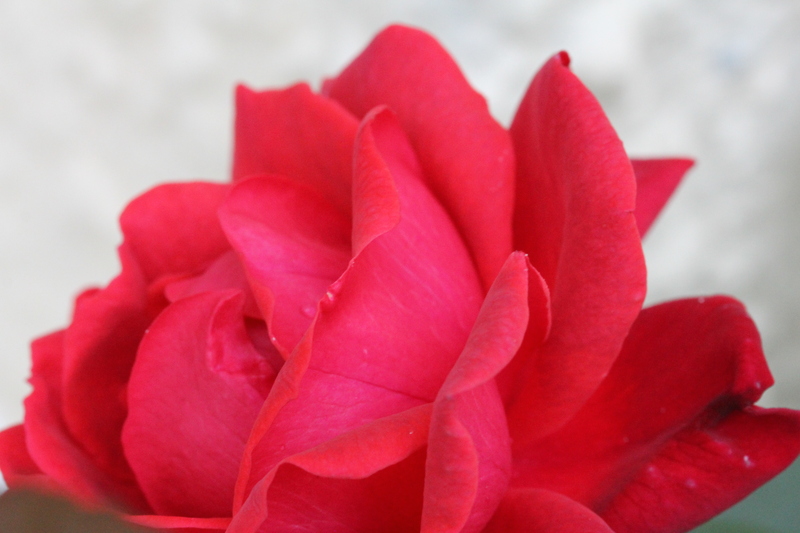 This last one is a bit of a joke as it is clearly very red when the rest of the garden is pink. It was accidentally chopped right down to the ground by a builder when we were having a porch extension a couple of years ago. I decided I wasn’t too upset as it didn’t really go with anything, but clearly, to spite me, it’s bounced back and is better than ever. I can see it from the kitchen and I grudgingly have to admit that while it doesn’t match anything in the garden, it does go nicely with the Aga! 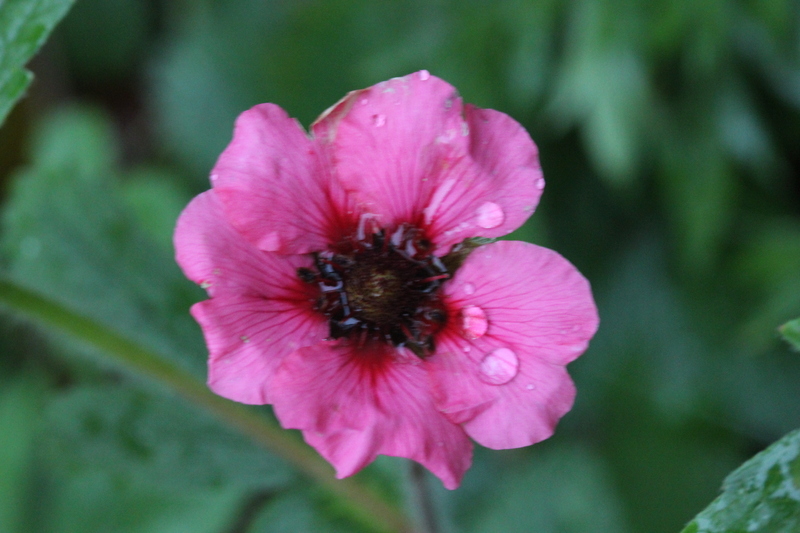 I love the dusky pink colour of this potentilla – I think it’s Potentilla nepalensis,. 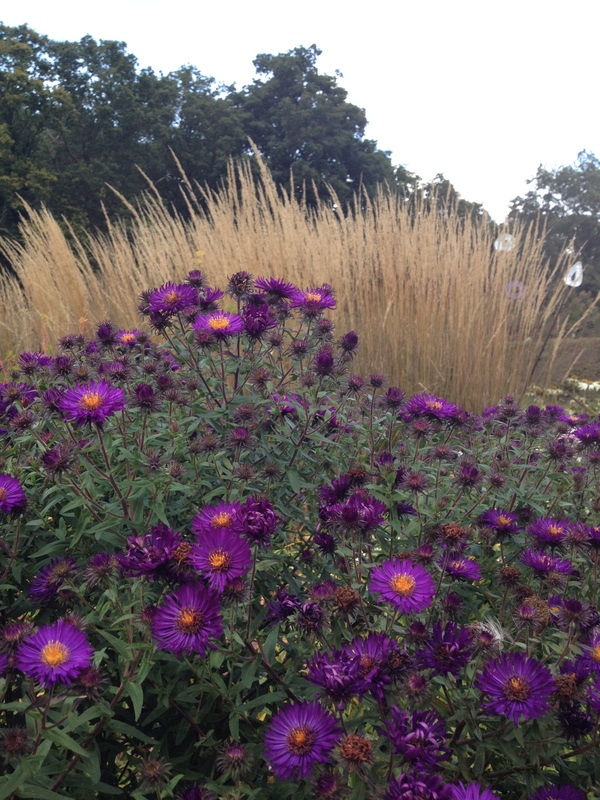 I have a number of these plants in the Mediterranean beds and they’re flowering beautifully now, even though the weather could hardly be described as Mediterranean. These can’t really be described as blooms, but I just love the flower shapes these succulent leaves make. 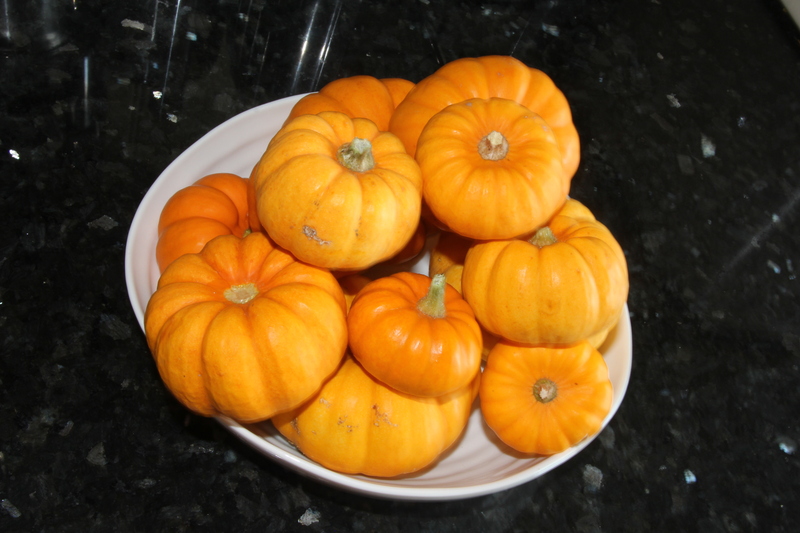 These are all still in the garden at the moment but expect they’ll all have to be taken inside by next month. 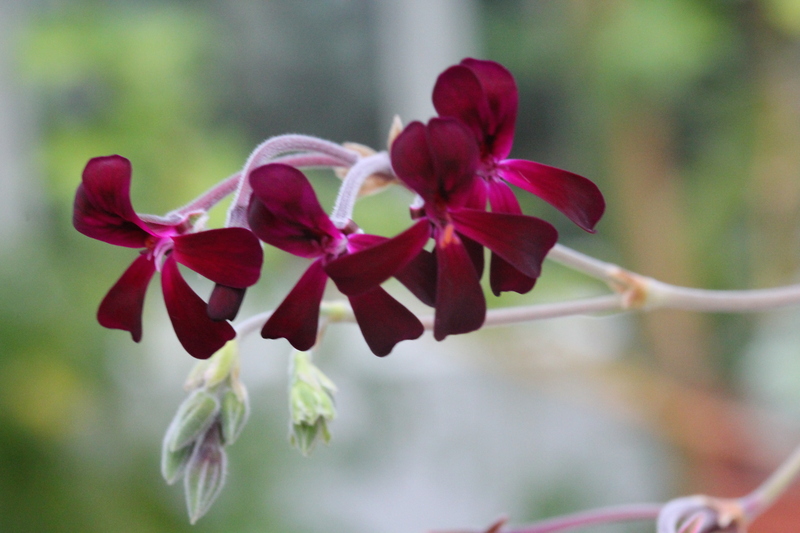 And a last non-annual – this is Pelargonium sidoides. I just love the dark, rich colour against a silvery leaf and have even started cutting it for flower arrangements as the flower stems seem to get longer and longer as the season progresses. I really must get round to taking more cuttings. And to finish, an avalanche of annuals – all I think featured before, but all still flowering their socks off, bless them! Two Cleomes, C. Cherry Queen and C. Violet Queen. The colours are more different than the photo would would suggest. 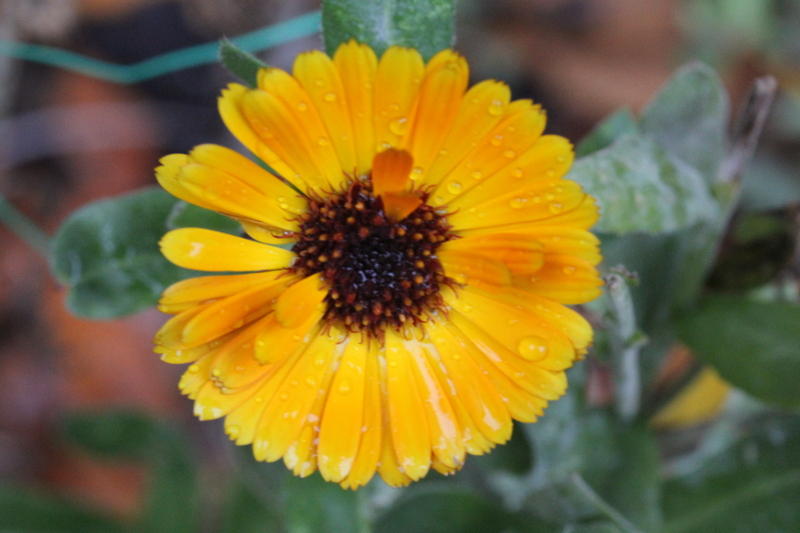 Marigolds – although some have succumbed to powdery mildew, many are still going strong. 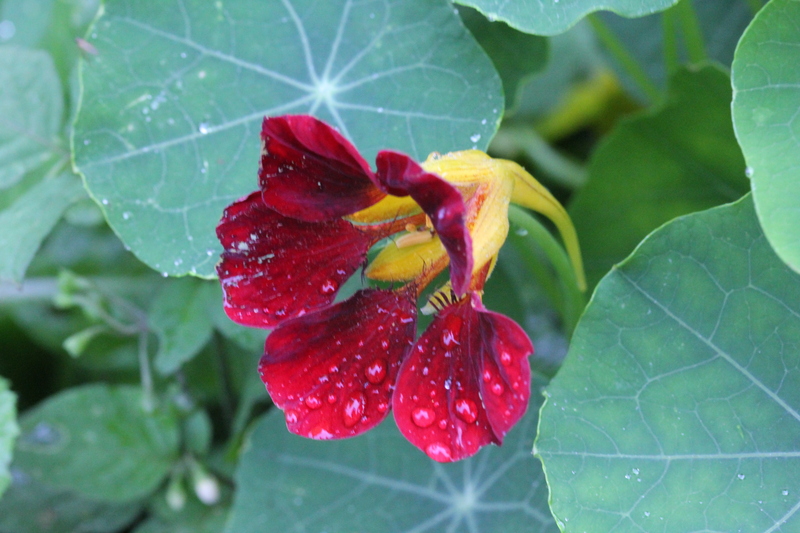 Nasturtium Black Velvet. 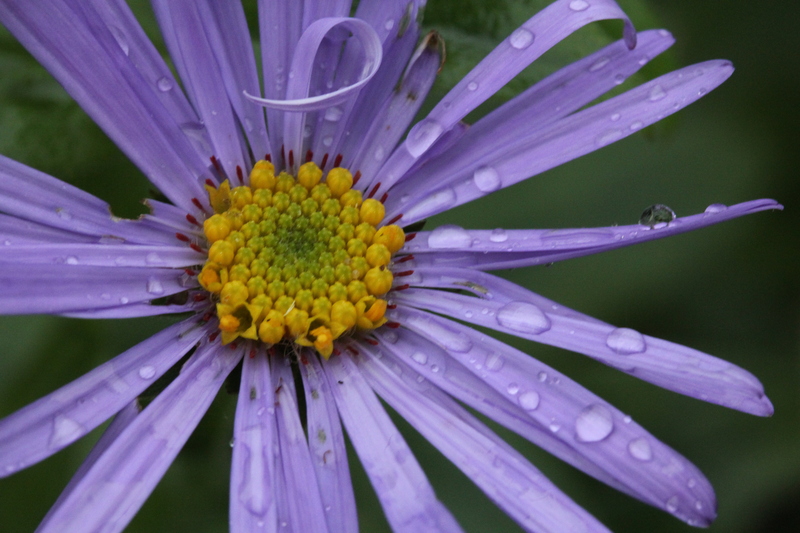 These stopped flowering completely after the summer drought, but are flowering beautifully again now – they seem to be relishing this wet weather. 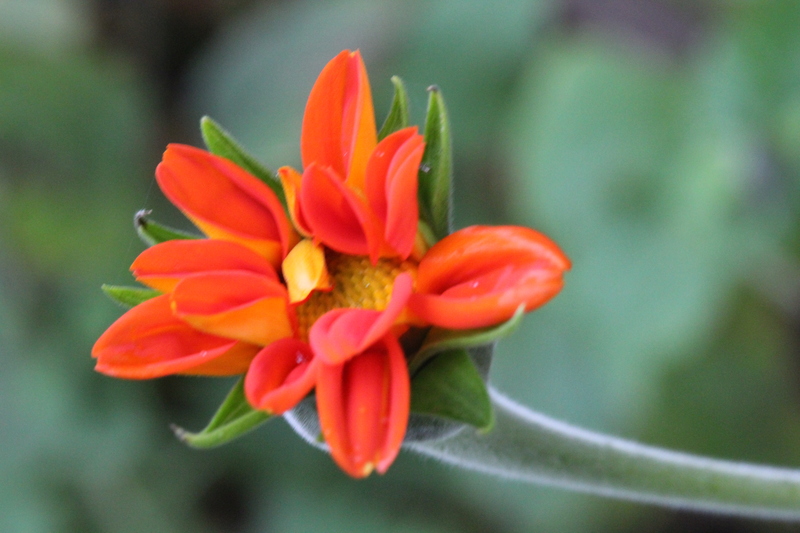 And to finish, my Tithonia rotundiflora ‘Torch’. I planted around 8-10 plants out back in June, and now have a veritable hedge, 20 ft long and 6 ft high. Beats Leylandii any day. 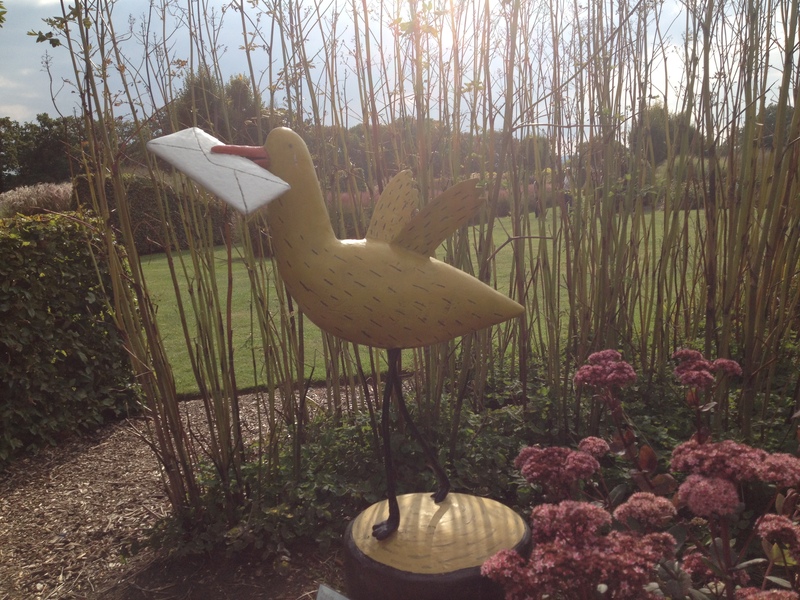 With thanks as ever to Carol at May Dream Gardens for hosting GBBD. This entry was posted in Garden, Garden Bloggers' Bloom Day and tagged Aster Frikartii Monch, Aster September Ruby, Clematis 'Freckles', Cleome Cherry Queen, Cleome Violet Queen, Nasturtium Black Velvet, Pelargonium sidoides, Potentilla nepalensis, Rosa Flower Carpet Pink., Tithonia rotundiflora 'Torch', Zinnia 'Giant dahlia mixed', Zinnia Envy on October 15, 2014 by jenhumm116. 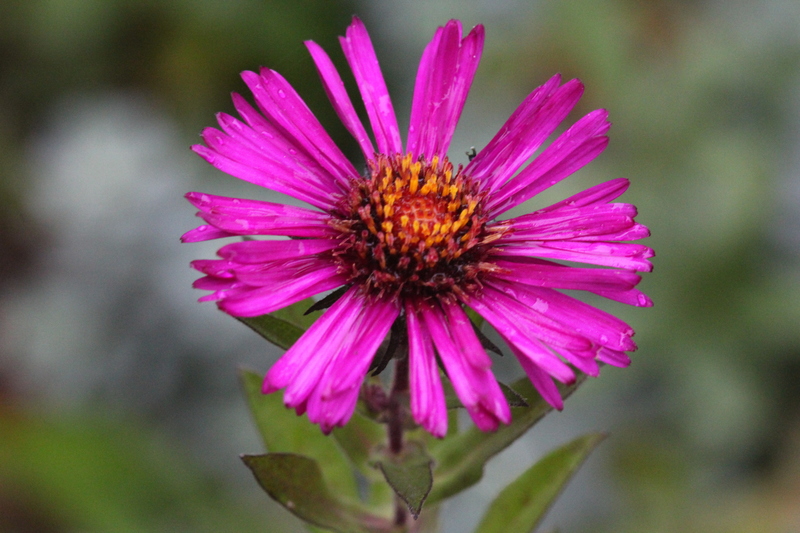 Wordless Wednesday – pretty girly for a hermaphrodite! 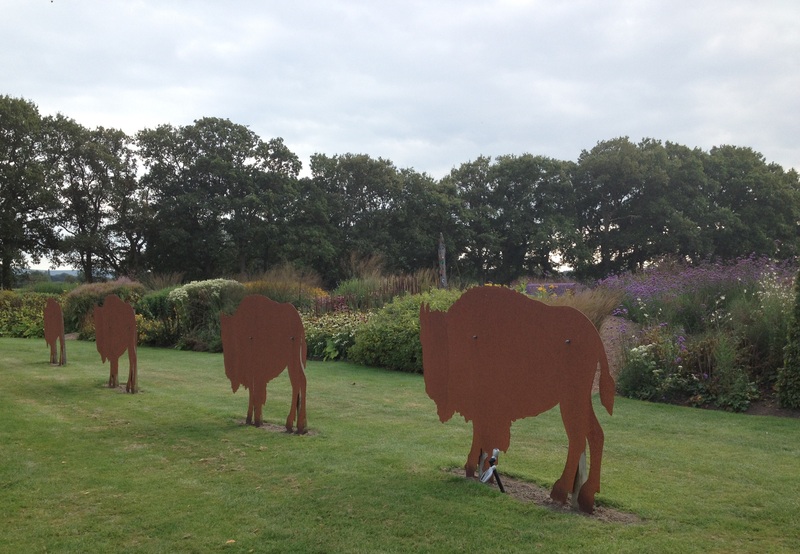 Back in July I visited Sussex Prairie Garden in West Sussex for the first time and was blown away by the scale and vision of a garden only five years old. In mid September I visited again, but stupidly left my camera at home and so only had my phone to capture my visit. 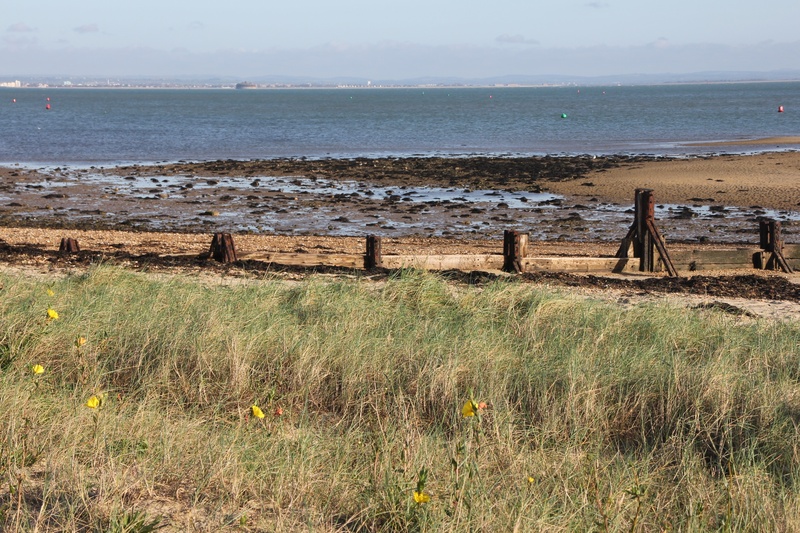 It has taken some time for me to pluck up courage to download the photos, as I was concerned that they really wouldn’t to justice to such wonderful views and combinations. 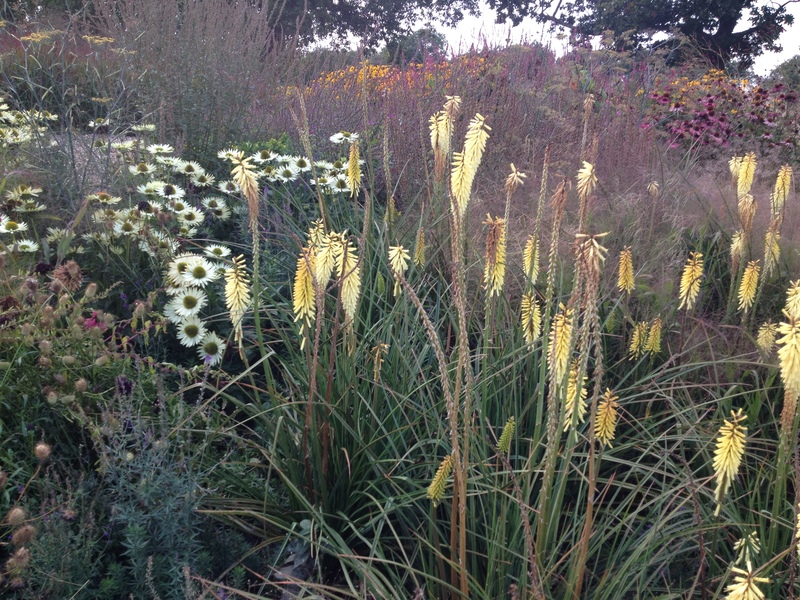 However, I’m delighted to say that while the photos may not be great, the planting was so stunning I feel the overall effect has been captured, so I’ve finally got round to sharing them. 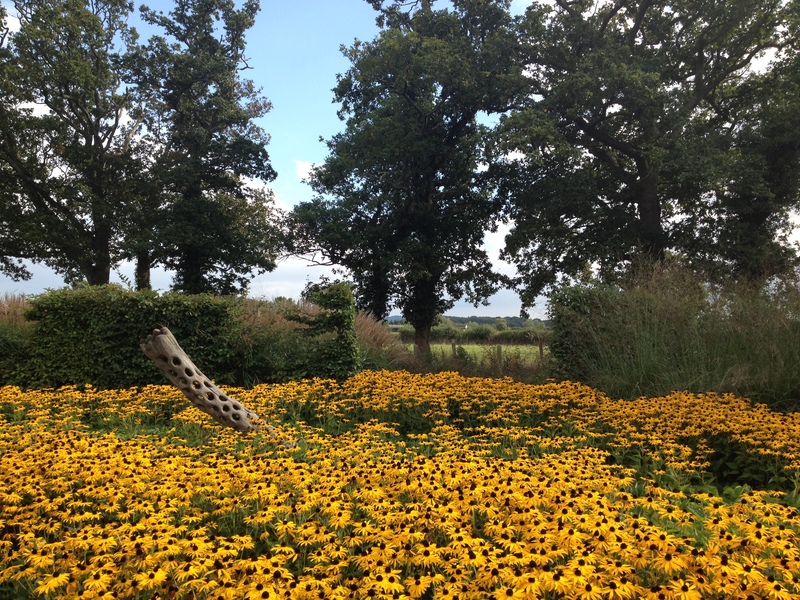 As before, the planting is on a massive scale but what’s so impressive is how, despite almost all plants which were flowering in July having now ceased, there are plenty of new flowers to admire – particularly classic prairie plants like rudbeckia, echinacea and of course grasses. 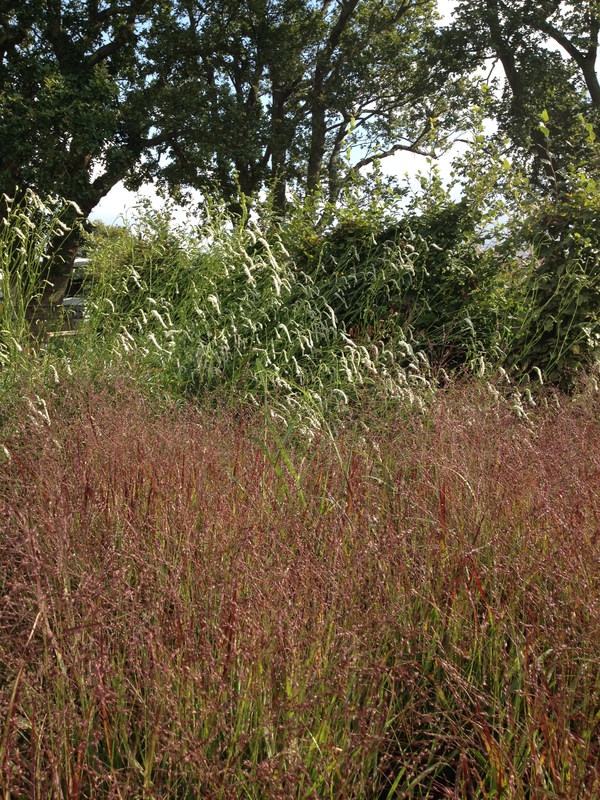 Although the grasses were in evidence at my first visit, this time they were so much taller and bolder. and the biggest planting of Ipomoea lobata I’ve ever seen. 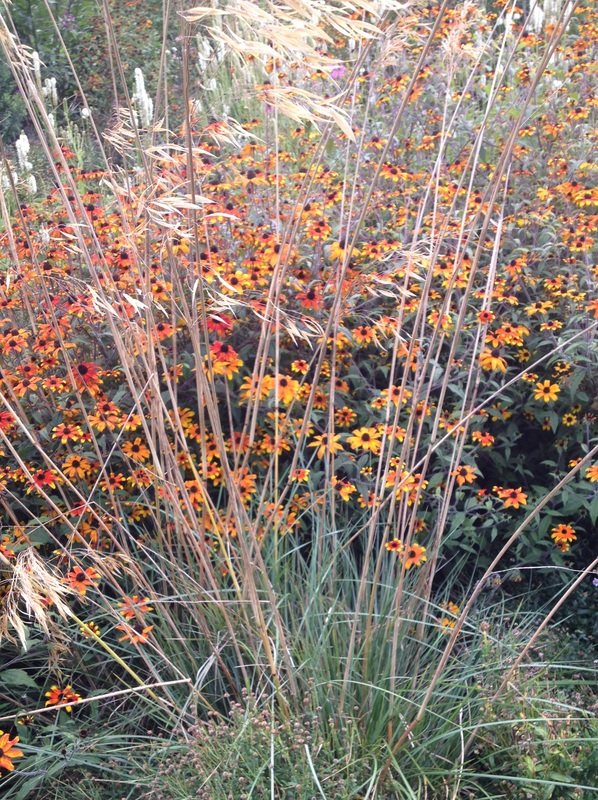 I think my favourite plant was this Rudbeckia ‘Prairie Glow’ – such a stunning autumnal colour, and gorgeous with the Stipa. 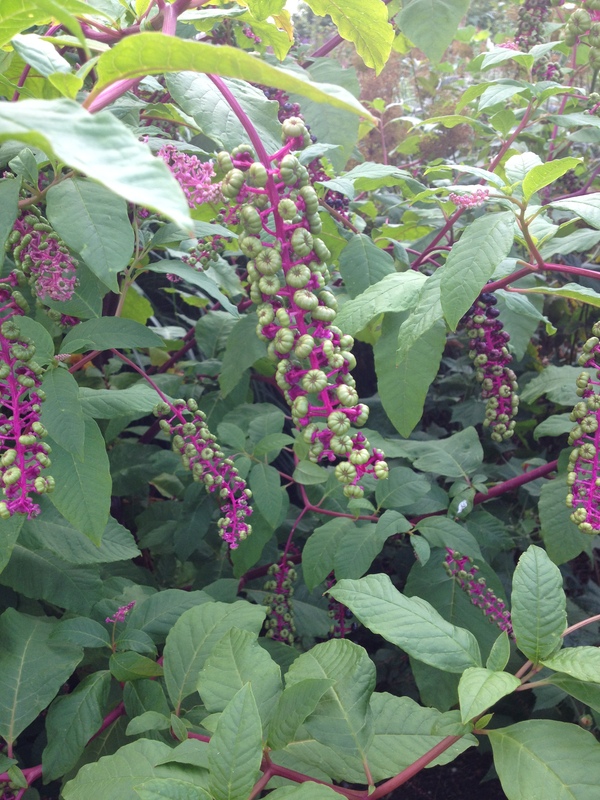 I also loved this shrub which I think is Phytolacca americana or American Pokeweed. 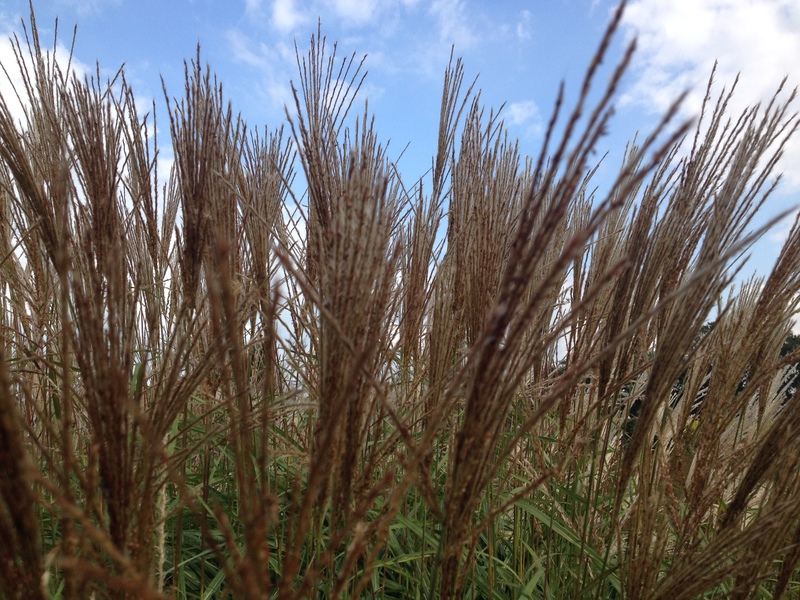 It was a sizeable plant – taller than me! 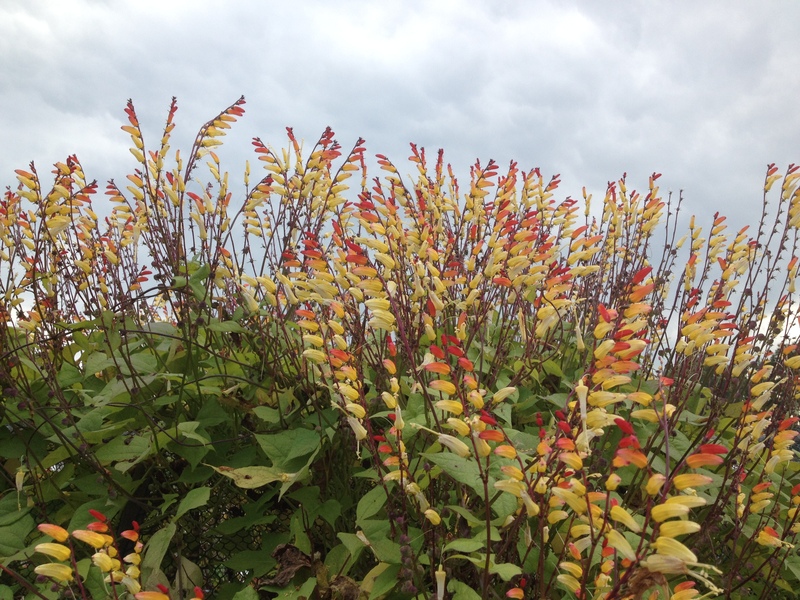 This entry was posted in Garden visits and tagged American Pokeweed, Ipomoea lobata, Phytolacca americana, Rudbeckia 'Prairie Glow', Sussex Prairie Garden on October 14, 2014 by jenhumm116.